We recognize that many potential clients seeking therapy cannot afford the rates of our therapists who do not take insurance, and/or do not have insurance benefits to adequately cover therapy services. Therefore, we also offer a lower cost therapy option of therapy services with a therapist-intern. The rate for a standard 50-minute session is $40, payable by cash, check, or credit card (including Health Savings Account cards). The ICFE is a training site for graduate students completing practicums and internships as a part of Master’s degree programs in mental health fields (for example, marriage and family therapy, counseling, social work or psychology programs). Students with an interest in couple, family, and child therapy select the ICFE as a training site due to the reputation and experience levels of ICFE clinicians. The ICFE only accepts Graduate Student Interns with strong academic credentials, faculty recommendation, and successful completion of ICFE interview process. During their internship, Graduate Student Interns receive weekly supervision based in part on video recordings of their sessions to allow the supervisor to ensure quality therapy services and student learning. Graduate Student Interns also receive supplemental educational experiences focused on expanding their skills and knowledge within their chosen area of clinical focus (such as play therapy, couples therapy, or trauma therapy) beyond the general training received in graduate training programs. Upon completion of a Master’s degree in a mental health field, individuals then must pass a licensing exam and be approved to begin the licensure process for their respective discipline’s licensure board (LMFT, LPC, and Social Work). Successful applicants then begin a 2-3 year process, on average, to licensure as an independent, fully licensed mental health professional. During the licensure process, therapists practice under the supervision of another clinician approved by the State licensure board. Associate Interns at the ICFE are Licensed Marriage and Family Therapist Associates (LMFT-Associate) and/or Licensed Professional Counselor Interns (LPC-Intern) working under the clinical supervision of an ICFE supervisor. The ICFE only accepts Associate Interns who have demonstrated strong clinical skills and dedication to empirically validated, family systems based therapeutic work. Interns and Licensed Associates are supervised by Becky Davenport, Ph.D., LMFT-S, ICFE Owner and Director, or Jason Northrup, Ph.D., LMFT-S, LPC-S. Please contact us now to schedule your appointment. I am a Licensed Marriage and Family Therapist-Associate. I received my Bachelor’s in Psychology from the University of San Diego in 2004. I then went on to complete a Master’s degree in Marital and Family Therapy from Loma Linda University in California. I have facilitated groups and have worked with individuals, families and couples. I also have experience working with individuals who have substance abuse issues and children who have been placed in the foster care system. I have an interest in working with couples, children and women’s issues. I am fluent in Spanish and can offer therapeutic services in Spanish. I use solution-focused techniques with clients to help identify and set goals. I also enjoy using solution-focused techniques to help clients attain motivation and to facilitate growth and identify strengths. I am a Pre-Clinical Fellow in the American Association for Marriage and Family Therapy (AAMFT), and a member of the San Antonio Association for Relational Therapists (SAART). I have been married for 12 years and have two daughters and a son who keep me quite busy. I enjoy watching movies, traveling, indulging in self-care techniques, reading books and trying new and fun places to eat. I look forward to working with you and helping you along this journey! 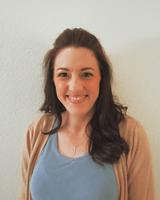 I am a graduate student currently working towards my Master’s in Marriage and Family Therapy from Abilene Christian University. I received my Bachelor of Arts Degree in Psychology from Texas State University in 2017. I am also a Student Member of the American Association of Marriage & Family Therapists. I am passionate about working with children and families to promote empowerment, recognize their strengths, and adopt a healthier outlook towards themselves and their relationships. In my free time I reconnect with my family, spoil my dogs, practice yoga, and indulge in my fascination with Italian cooking.